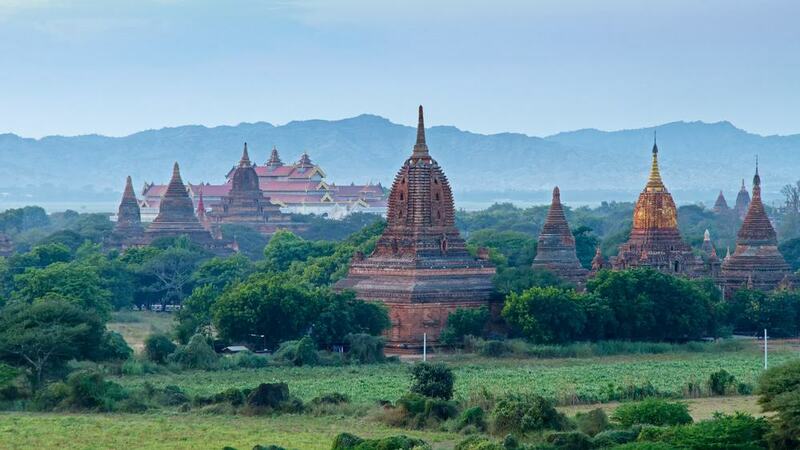 Many people visit Myanmar just to take a trip to Bagan which is the home of an amazing 200,000 different temples. These in turn sit on the dust plains that are caused by the Ayeyarwady River and many visitors liken the dusty and arid atmosphere to something from another planet. One of the biggest issues in Bagan is knowing where to go first and you really need to check everything out in advance to make the best of it. Then you will need to make sure that you have a local driver who can take you around, or you can hire your own set of wheels. Either way, organization is key on a visit to Bagan if you want to cram in as much as possible in a short space of time. If possible however, try to spend at least three days here so that you get to take it easy and don’t miss out on seeing any of the premium sites, pagodas, stupas and ancient villages. 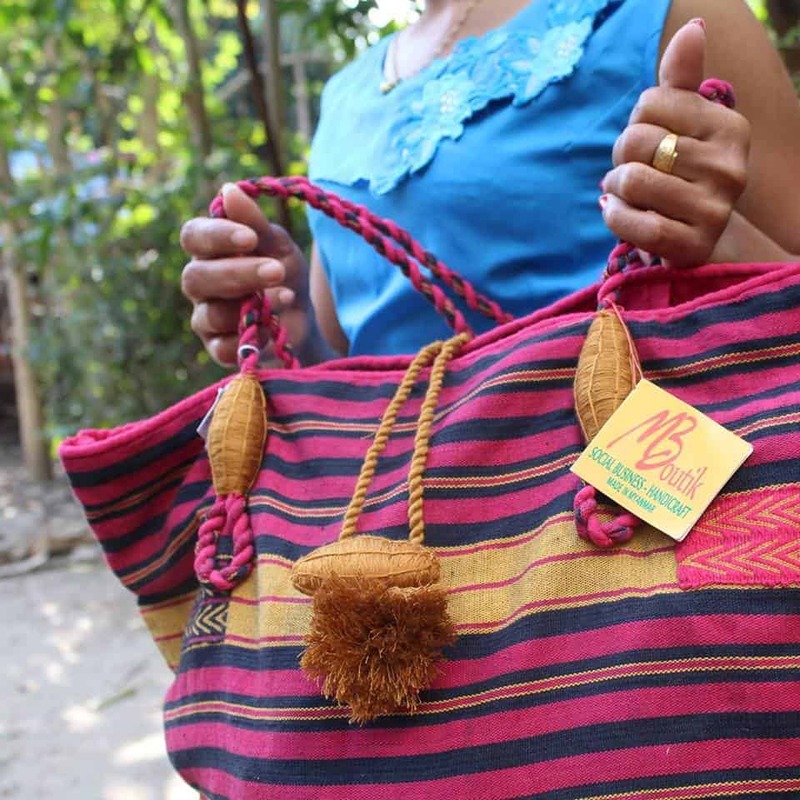 There is no better place to show in Bagan than MBoutik if you want to buy some local handicrafts that also support the community. This shop is run by the NGO ActionAid and the items sold here are made by over 600 craftswomen who live in the villages around Bagan. The money that you spend on the amazing clothes, toys, jewelry and handicrafts here is all funneled back into the local community, so you can shop for souvenirs and know that the money is going to a good cause. Located close to Nyaung U is Shwezigon Paya which is known for being a large stupa that is the main religious building in the town. If you can, try to visit around dusk as the stupa is illuminated at this time and you can see the pretty gilded monument atop three stacked terraces. Make sure you also take in the plaques brushed with enamel around the bottom of the stupa that show scenes from the Jataka or the past lives of the Buddha. Close to Manuha Paya is another small shrine called Nan Paya which legend has it was once used as a prison. The story changes according to who you ask, but the shrine is said to have been Hindu in the beginning, so instead of ripping it down or trying to get the local Buddhist community to convert it, it was thought that it would be better suited as a prison. 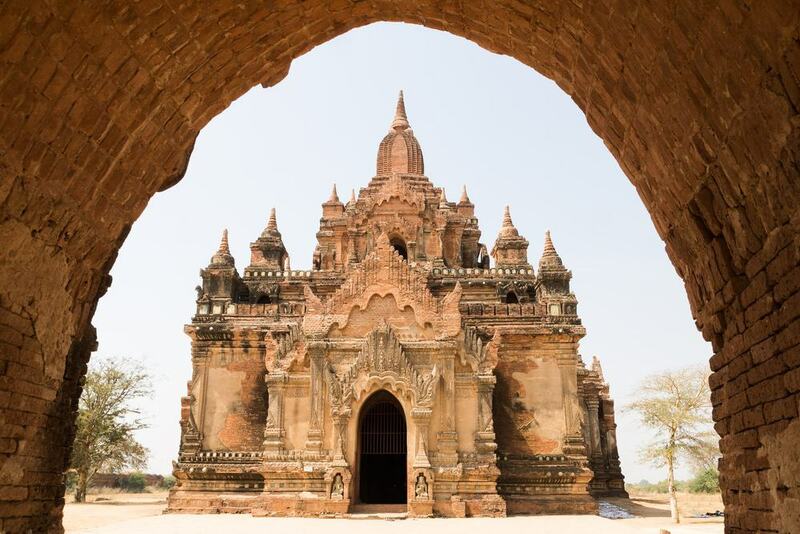 The main reason to come here now is to check out the sandstone brick work which is said to be some of the most ornate in all of Bagan which is high praise indeed! 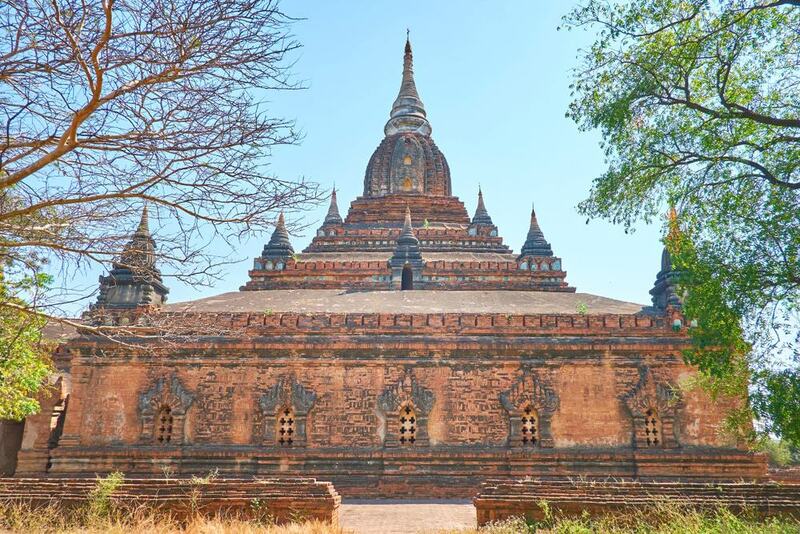 The Archaeological Museum is part of a large complex and is the best museum to visit in Bagan if you want to get a quick look at some of the background of this amazing sight in one go. You will also find a huge number of pieces taken from around Bagan such as Buddha images and stone with ornate inscriptions and you will also even find some modern paintings of the various temples. As well as antiques and art work, you will also be able to check out a range of textiles and even a gallery that features different ancient hair styles. Nandamannya Paya dates from the 13th century and is known for its pretty frescoes which are the main reason to visit. There is also a small image of the Buddha here in a seated position although this is crumbling gracefully and is not particularly noteworthy. 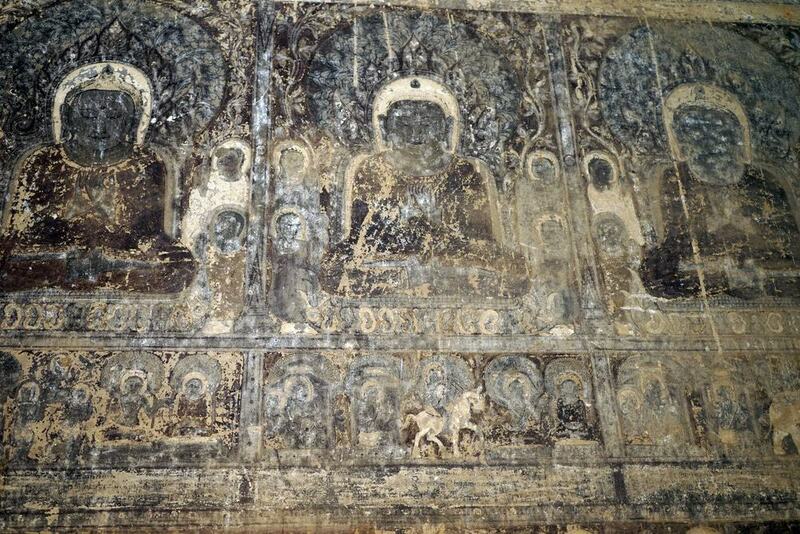 If you like murals however then make sure not to give it a miss and many scholars claim that it has been painted in the same style (and perhaps even by the same artist) as Payathonzu. 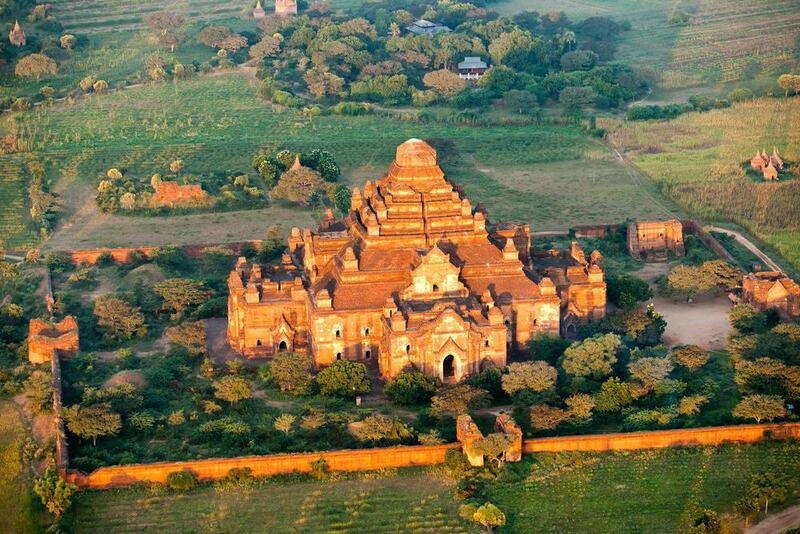 You can see Dhammayangyi Pahto from all over Bagan as this is a large temple complex that dates from the 12th century. It is known for its haunting alleyways which are impassable in parts and it is claimed that this temple was built by legendary King Narathu. As well as its size, this temple also has the claim to fame of being one of the best preserved (but not restored) so it is really not to be missed on a trip here, especially if you are short on time. Located in the main town in Bagan is the Mani-Sithu Market which is a typical Burmese market that is well worth visiting if you want to see some of the local produce and pick up some snacks for a long day of temple visiting. Here you will find gleaming fruits, vegetables flowers and a range of textiles as well as some good street food fried snacks. 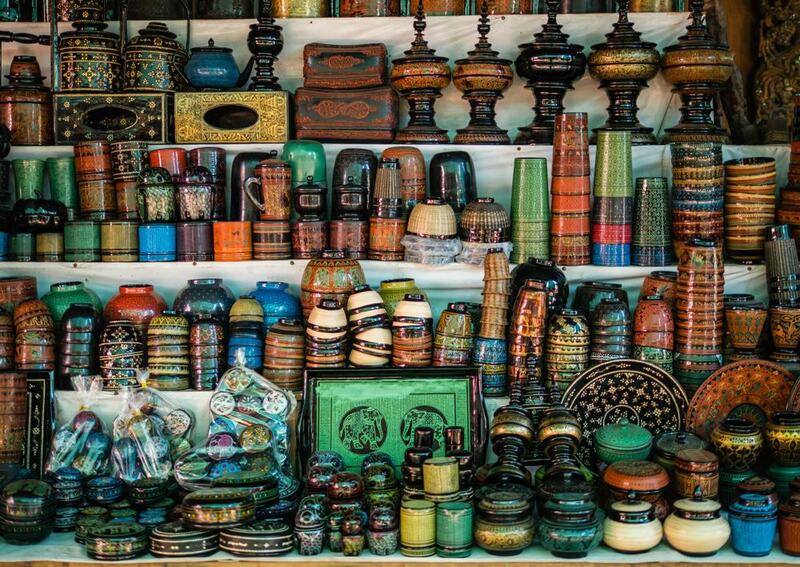 You can also buy souvenirs here such as lacquer ware for which Bagan is famous as well as woodcarvings. 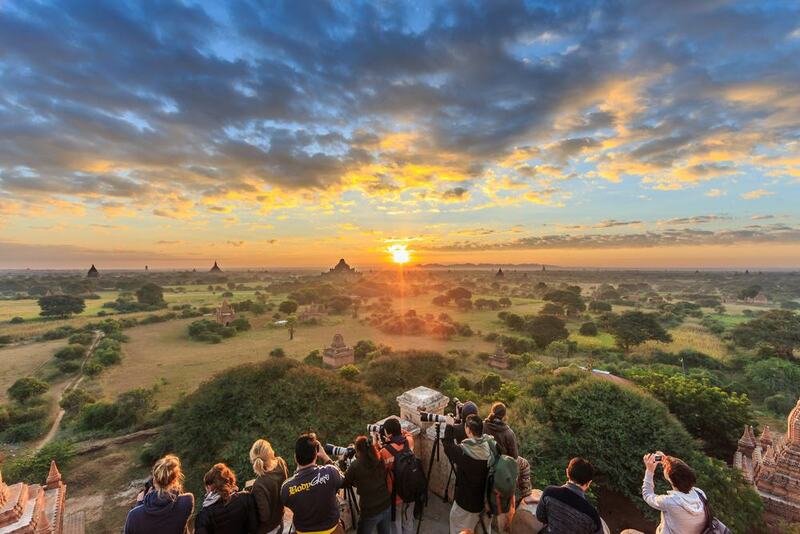 If you want to catch the best sunsets in Bagan then you need to head to Shwesandaw Paya which features a gorgeous pagoda built in the pyramid style out of white stone. 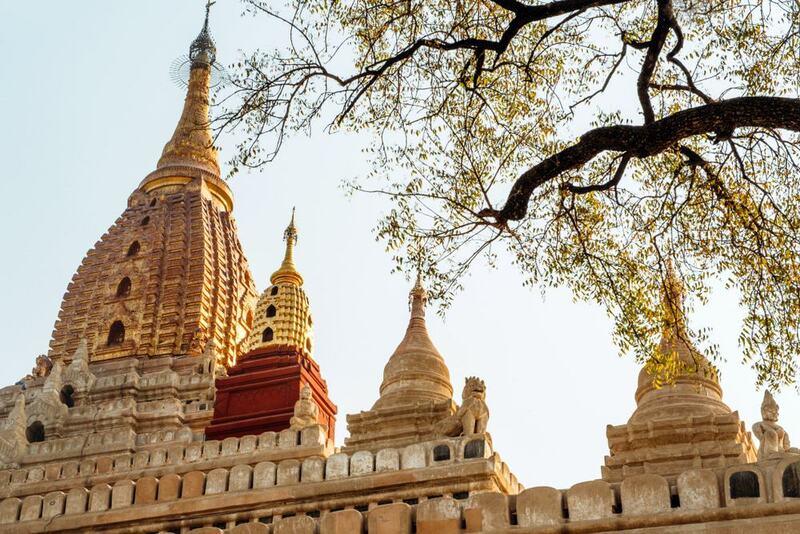 There are steps cut into the temple which then lead up to five terraces which end at the top of a large stupa and from here you can experience panoramic views all over Bagan. Bear in mind that it gets crowded at sunset as it is known for its vistas, although the upper tier is quite spacious. If you want to check it out without the crowds however then just visit in the daytime when it experiences much less foot traffic. The Thanakha Gallery is said to be the only one of its kind in the world and is basically a small museum that tells the story of the thanakha tree. 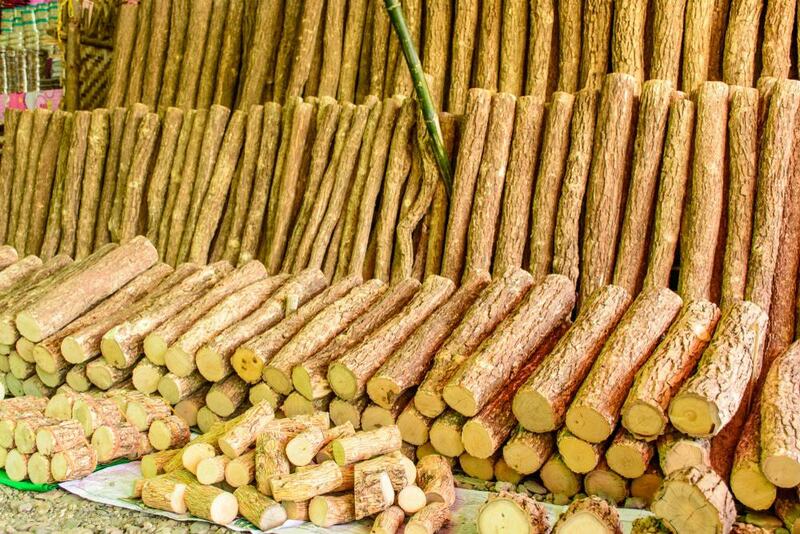 This tree is used for medicinal and cosmetic purposes in Myanmar and all parts of the plant are harvested including the leaves, roots and bark. The galleries here have collections of pieces made from the tree such as brushes and prayer beads and you can also walk through the history of how it was used by former royal families in Myanmar. Nathlaung Kyaung is a small and squat building which otherwise wouldn’t be very remarkable. 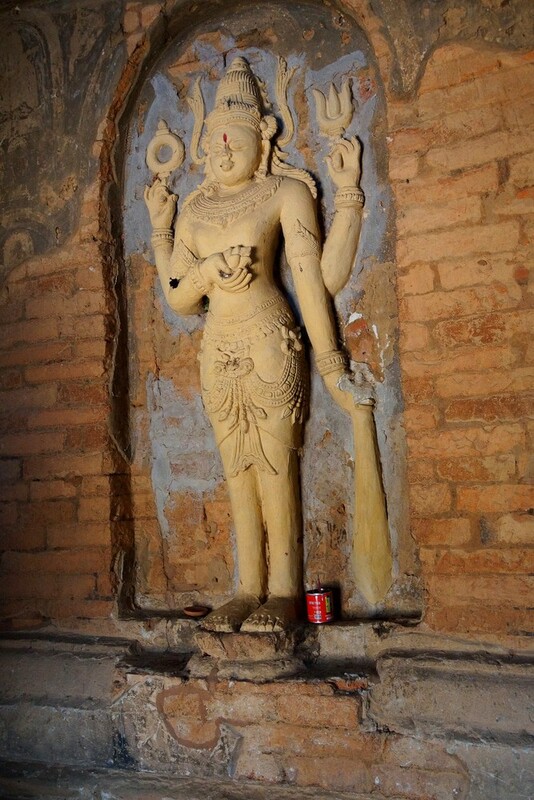 The reason to come here however is that it is the only Hindu temple which is still standing in Bagan and is also known in English as the ‘Shrine Confining Nat’. It is so named as this was the spot where King Anawratha would have consigned Hindu images when he tried to promote Buddhism in Bagan, making it something of a prison for non-Buddhist art work. 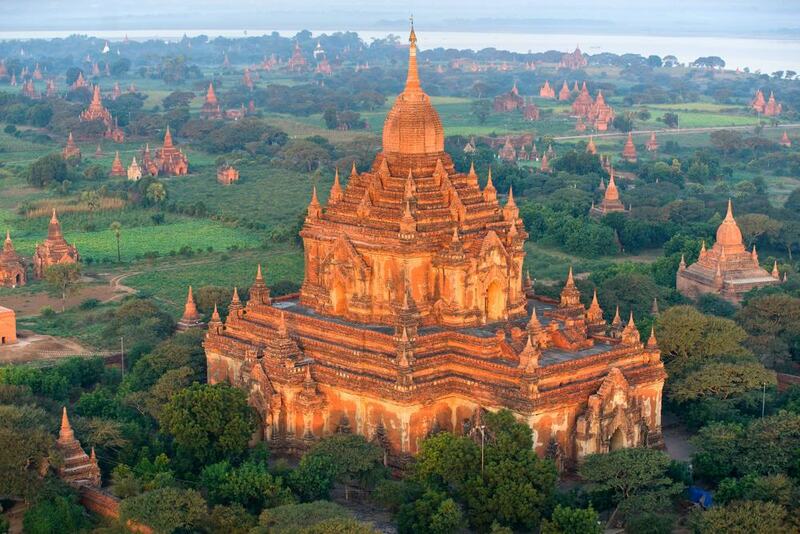 If you want to see Bagan in all its glory then you really need to take to the air. With that in mind, consider signing up for an elegant balloon ride where you will soar into the sky and glide gracefully over the complex which offers you a completely different vantage point where you can look down on the glorious temples here. 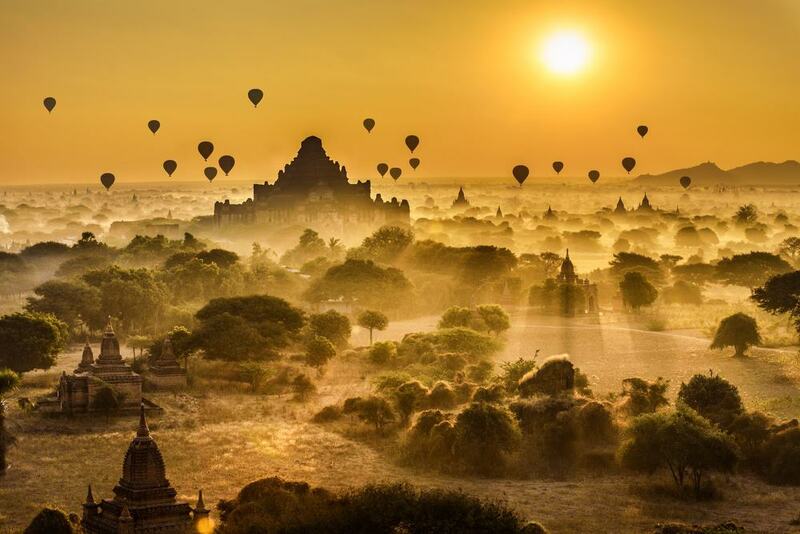 If you don’t have a head for heights, then you may still want to watch the colorful balloons taking off and floating over Bagan as this is a sight in itself and makes a great photo opportunity. This temple in Bagan is also called by its local nickname which is the ‘Crowning Jewel’ which tells you everything you need to know about its design aesthetic. This temple dates from 1181 and was designed under Narapatisithu and it is widely claimed to be one of the prettiest temples in all of Bagan. It also has a surrounding wall which leads to a wide complex so it never feels too crowded. 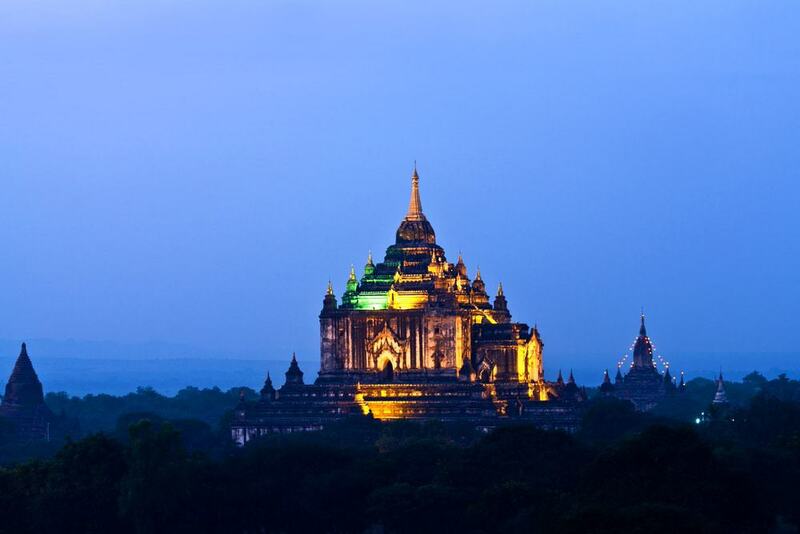 Gawdawpalin has the claim to fame of being one of the largest temples in Bagan and stands at a height of some 197 feet. It may have the size however, but much of the interior has been rather heavy-handedly restored so you can expect a more modern style throughout. It originally dates from the time of Narapatisithu and although it is built on a grand scale, it is not one of the prettiest temples in Bagan. 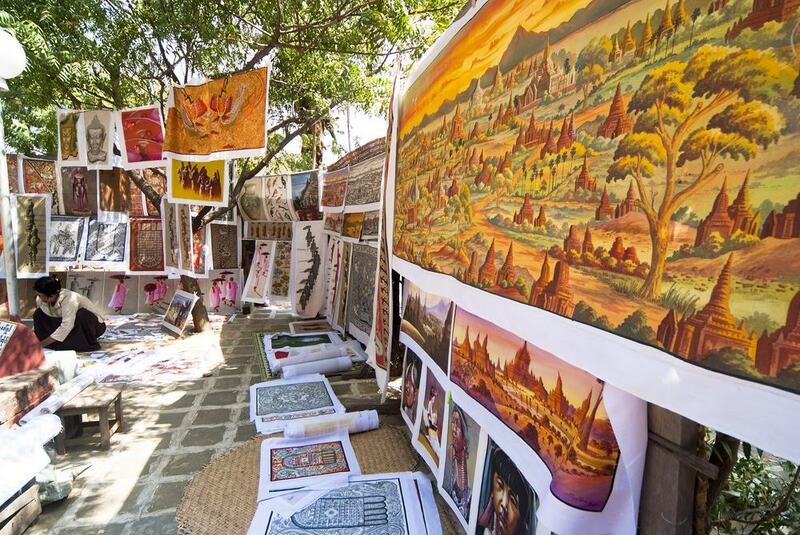 Bagan is known for its art work and its local handicrafts so it makes a great place if you want to stock up on local souvenirs. 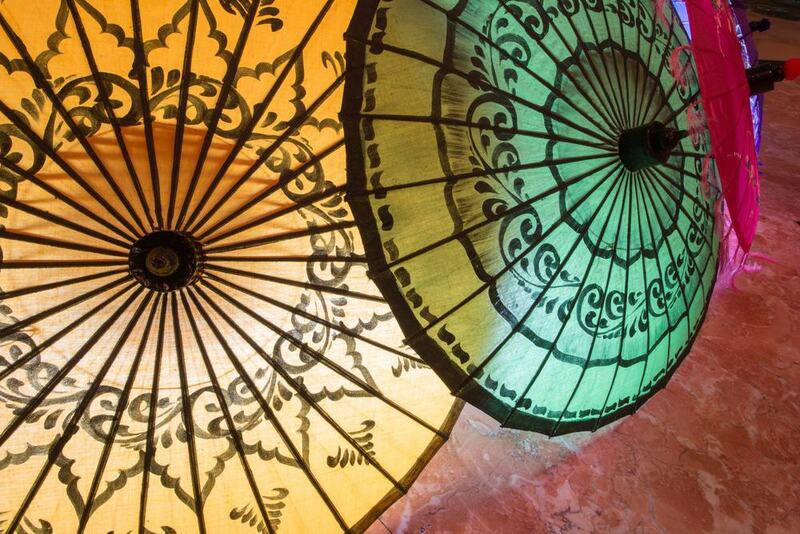 Bagan is primarily famous for its ornate lacquer ware but you will also find local textiles as well as other pieces like traditional jewelry. Some of the quirkier finds here also include sand paintings which can be quite intricate and are a nice nod to the dusty plains on which Bagan sits. 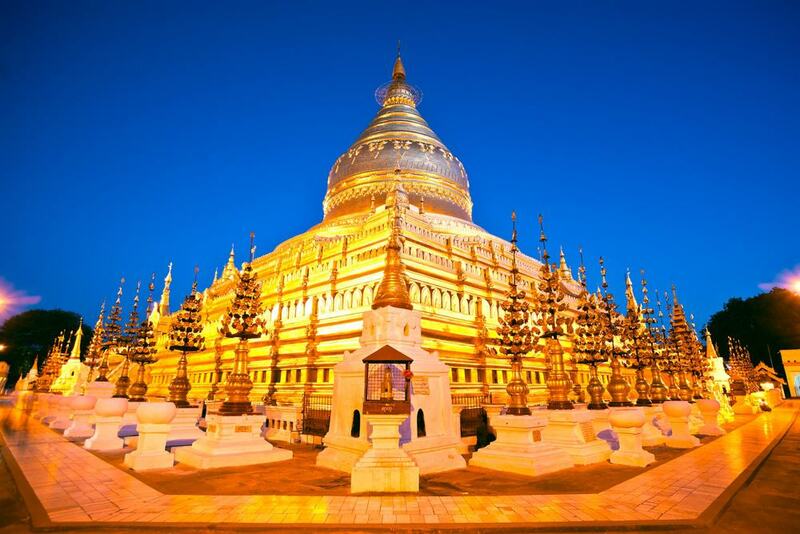 Ananda Pahto has a large spire called a ‘hti’ which is covered in gold leaf and rises to a height of 170 feet. 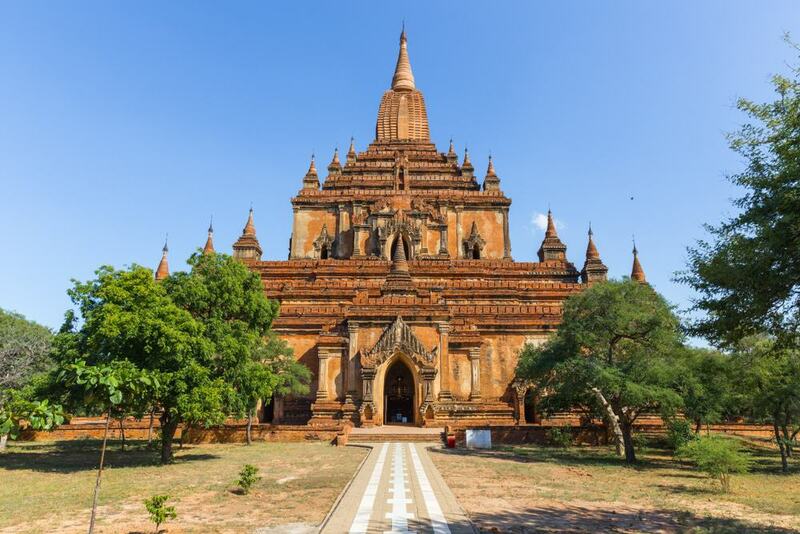 This is widely claimed to be one of the prettiest and most important temples in Bagan, so if you don’t have much time then this is one building that you don’t want to leave off the itinerary. 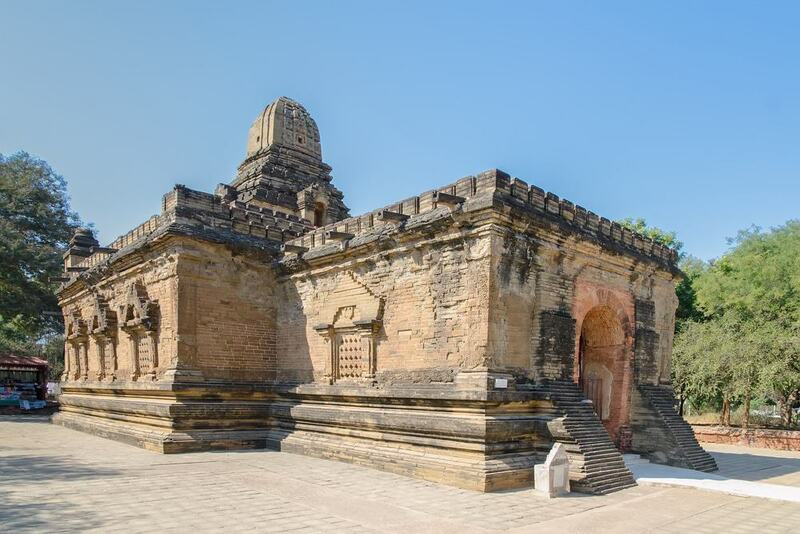 This is also one of the oldest temples in the region and is said to date from either the 11th or 12th century when it would have been built under King Kyanzittha. There is a nice night market in the town in Bagan and it also has a kind of carnival feel after dark. There is a small stage here where there are local music concerts held, as well as a typical Burmese Ferris wheel which is powered by local men who push it around with their bare hands and climb all over the structure to make it rotate. A trip on the wheel is not for the faint of heart but it is an amazing sight to see. 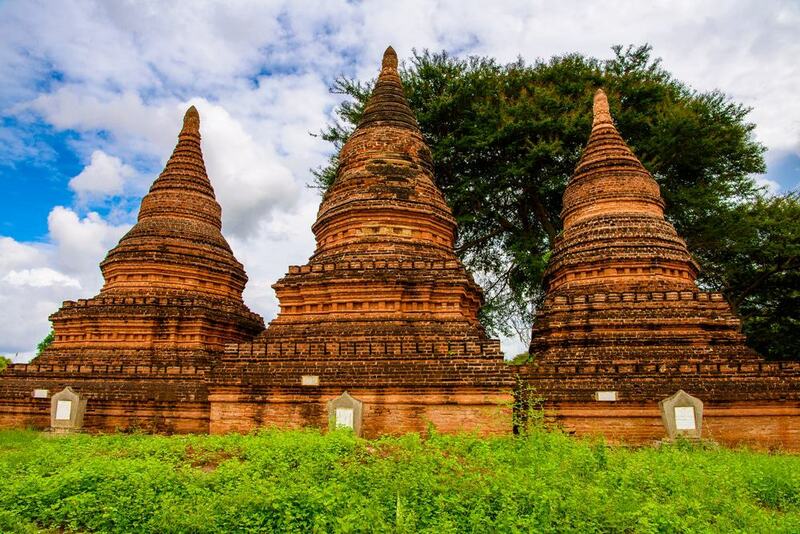 Payathonzu is made of three shrines and actually means ‘Three Stupas’ in Burmese. The real reason to come here is to take in the delightful murals that date from the 13th century and marvel at the design work. Strangely, many people claim that the design here is similar to that of Khmer temples in Cambodia so it makes a good change of pace to some of the other spots in Bagan. 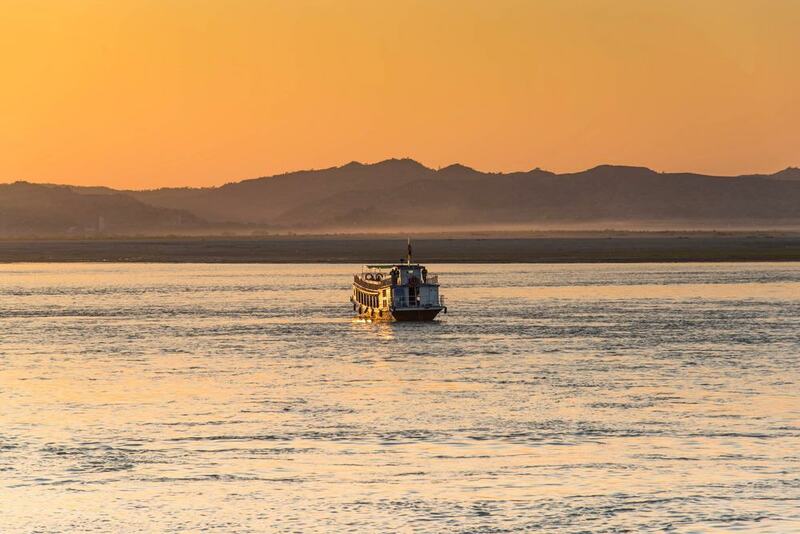 If you want to watch the sunset in style in Bagan then consider renting your own private boat and floating down the river. You can easily charter a small local boat which will seat around four people and then go for a cruise that takes between one and two hours. Just head down to the central jetty in Bagan where you will find a number of vendors who will take you upriver. 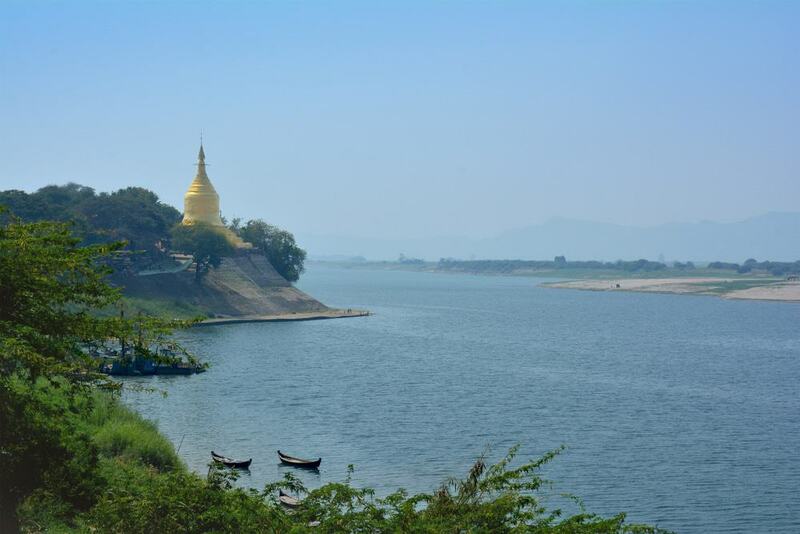 In the days of old, boats that were operating on the waterways of Arakan would stop off at this pagoda in Bagan which is one of the few riverside buildings of its kind. You will know the temple when you see it as it has a large dome which is shaped like a cylinder and it is thought to have been built in the 11th century. The reason for its fame is that it was is said to have been the place where a famous replica of the tooth of Buddha is housed, although this is not on display. This temple is an impressive 150 feet high and would have been built in the 13th century. This is also a very significant spot in Bagan as it said to be the place where King Nantaungmya was chosen as the new ruler. The inside of the temple has a large terraced section but you may want to skip the front which is filled with hawkers selling souvenirs at inflated prices. Near the central market in town you will also find a number of cooking schools which have sprung up in recent years. Almost all of these include a trip to the local market so they usually start early in the morning but give you the chance to check out the local produce at the source. You can then go back to the cooking school where you will be taught to whip up a number of local dishes. There is also usually the chance to dine in a communal setting with your fellow classmates and sample the fruits of your labors. Gubyaukgyi means Great Painted Cave Temple in Burmese and this is also one of the most popular temples in Bagan. People flock here to check out the gorgeous paintings inside the cave structure which is said to have been built in the 12th century. This would have happened in the time of Rajakumar who was the son of Kyanzittha and it is mainly designed in an Indian style which makes it a little different to many of the other temples in the area. 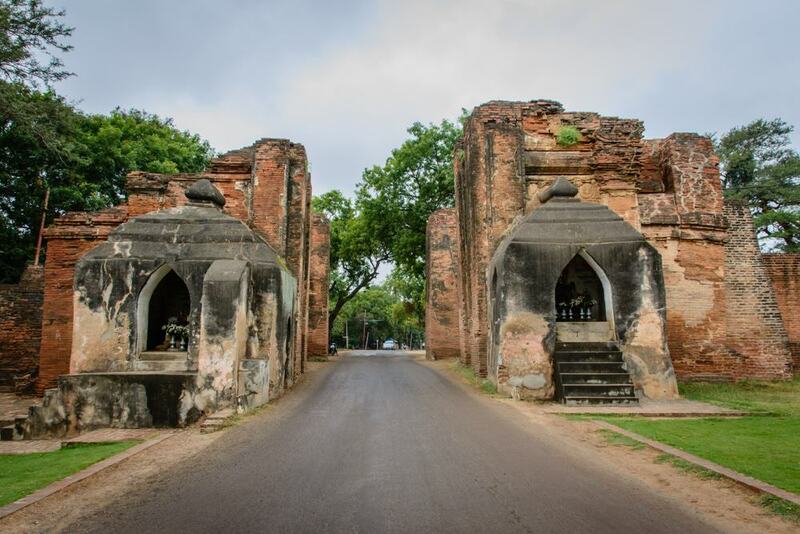 Tharabar Gate would have one marked the entrance to the former royal palace in Bagan although little of this still remains. The gate was part of a wall that would have been built in the 9th century but now you will have to squint to make out how it would have looked in times gone by. There are also two compartments on each side of the gate which are the home of the guardians of the gate and this is a top spot if you want to see a historical site that is a little different from the typical temples. 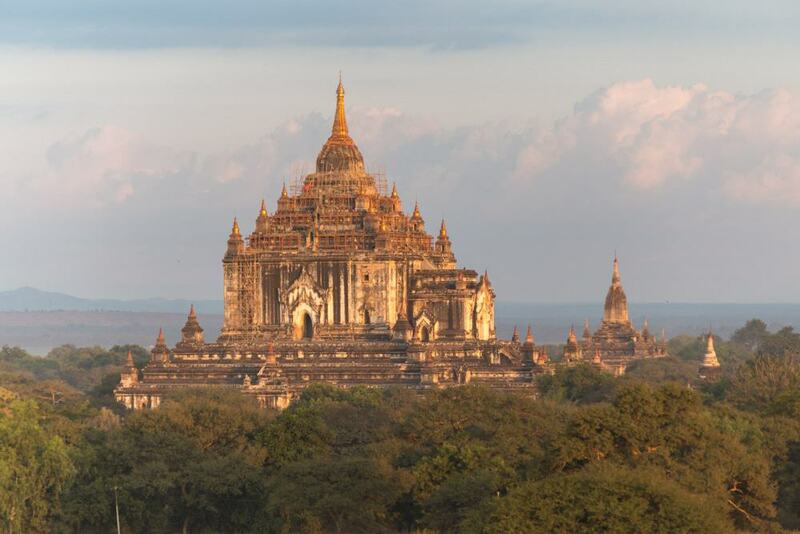 If you want to check out the highest temple in Bagan then you need to make your way to Thatbyinnyu Pahto which stands at a height of over 200 feet. Here you will find two stories which have three terraces each that are also topped with large spires and a gold sikhara. Most scholars date the temple from around the 12th century and the time of Alaungsithu, and you should also make sure to check out the 500 images of the Jataka here which tell the story of the different past lives of the Buddha. Another temple in Bagan that was built during the time of King Kyanzittha is Nagayon which is known for its Buddha image. The sculpture is twice the normal size of the Buddha and is notable as it is presented under the figure of a fearsome dragon, called a naga in Burmese, which is where the temple gets its name. This is a nod to a local legend that says that Kyanzittha built the temple in the 12th century when he was trying to run away and hide from various family members who did not want him to be the ruler of this part of Myanmar or the head of the royal family.